"To know where you are going, you must know where you have been..."
The first dentist licensed in the US was Horace Hayden, MD, in 1810. The first dental school opened in 1840 in Baltimore, Maryland, prior to that time dentists were trained by preceptorship. In 1893 Washington Code RCW 18.32 established licensing for dentistry. In 1906, Dr. A.L. Fones began in-office training of his dental assistant, Irene Newman, in dental hygiene procedures over an extended period of time. By 1915, the first dental hygiene training program was set up in Dr. Fones’ carriage house. 1917 saw early dental hygiene training programs installed at Columbia University, Forsyth in Boston and Eastman in Rochester. The early interest in dental hygiene in Washington State was the result of a personal friendship between Dr. Frank Shaw, a Seattle dentist, and Dr. Alfred C. Fones, the father of dental hygiene. Dr. Shaw and other northwest dentists trained their assistance to do oral prophylaxes, as Dr. Fones had done, and immediately set about getting legislation to license dental hygienists in Washington State. Dental hygienists were something new and there was violent opposition by many. Women the professions were not easily accepted in the early 1920s. The few dentists that supported dental hygienists were few in number, but very influential. The women who were trained by their dentists formed an organization to aid in the passage of the bill (1921). The State Federated Women’s Clubs were enlisted, as these clubs were interested in new fields for women. SFWC gave the dental hygiene legislation publicity in their state magazines and local newspapers. The Federated Clubs contacted members of the State legislature in their various districts. Without the support given by this women’s organization, the passage of the dental hygiene bill in 1921 would lave been long delayed. The law RCW 18.29 licensing dental hygienists in the State of Washington was passed February 9, 1921. Some office trained dental assistants were “grandfathered” into the act. (The last grand-fathered dental hygienist retired in 1961). Among the first examinees were Irene Currier and Elizabeth Proctor, both of who later served as Presidents of WSDHA. Elizabeth H. Proctor, a graduate of the new Dental Hygiene Department of Columbia University, was issued Washington State’s first license in dental hygiene on March 13, 1923. The Washington State Dental Hygienists’ Association was formed immediately after the dental hygiene law was passed in 1921, though an unofficial organization was started in 1920 composed of dental assistants who were being office trained in dental hygiene by their dentist employers. After the legislation passed, the official state association was formed and one of its first official actions was to join the State Federated Women’s Clubs and support their projects. This affiliation continued until 1961 when a substantial increase in national dues influenced WSDHA to discontinue membership. The first constitution and bylaws of WSDHA were patterned after those of the State of Connecticut, where dental hygiene originated. The first President of WSDHA was Miss Helen Flint (1921-23). Miss Elizabeth Proctor followed as President, serving the first of six terms. 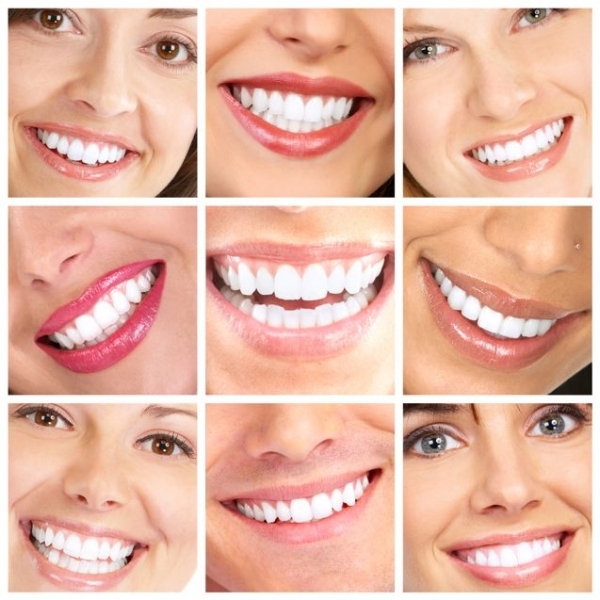 WSDHA has been a professional association of licensed dental hygienists in the State of Washington since 1921. From the very beginning, the organization has been promoting oral health and advocating for improved oral health for the citizens of the State of Washington. Members spoke to parent teacher groups, the Chamber of Commerce and other community groups on dental education. Each member gave time each month for dental hygiene work at the Children’s Orthopedic Hospital located on Queen Anne Hill. Members also did all the dental hygiene work at Ruth School for Girls and Washington Children’s Home. The members were very conscientious and dedicated to their new profession. They imposed a fine of twenty-five cents for anyone missing a meeting – and it was collected! The ADHA was formed in 1923 in Cleveland, Ohio. In 1926, the discussions began as to joining the national organization which had been recently formed. In March, 1927, Washington officially joined ADHA. One of the first formal invitations to participate in a dental meeting occurred in 1932. WSDHA was asked to participate the Pacific Coast Dental Conference to be held in Seattle. Hygienists prepared scientific displays and presented table clinics. The first national officer from Washington State was Blanche Sullivan Conley, who was elected in 1936 as a Trustee from District IX. Mrs. Conley served for three years without financial assistance from ADHA. In 1943 regular meetings were suspended during the war. Dental hygienists were denied World War II commissions because dental hygienists were not licensed in all states. Regular monthly meetings resumes in 1948. WSDHA held a membership drive through outreach to all licensed hygienists. In 1950, the Department of Dental Hygiene was established at the University of Washington’s new School of Dentistry with a BSDH program (2 years dental hygiene and 2 yrs undergrad) started by Dr. Esther Wilkins, RDH, DMD. A degree completion program was also initiated to educate faculty for dental hygiene programs. During this time the State Department of Public Health established a Dental Hygiene Division. Because the Cascade Mountains formed a natural dividing line for components, in 1960 WSDHA established the Eastern Washington Dental Hygienists Society. WSDHA began holding an annual Scientific Session and another mid-year meeting. During redistricting of ADHA in 1959, Washington became part of District XII along with Alaska, Idaho, Montana and Oregon. Miss Margaret Ryan was the first elected Trustee for this District and was named to serve on the Subcommittee on Dental Hygiene to the National Board of Dental Examiners. Washington was among the 25 states to immediately accept the National Board Exams in Dental Hygiene, first given in April, 1962. The Association was granted incorporation as a non-profit organization by Washington State in 1961. In 1968 three community college programs for dental hygiene admitted their first students: Shoreline, Yakima and Clark. Eastern Washington University, Cheney, opened a dental hygiene program in 1970. Expanded duties legislation passed the Washington Legislature in 1971, adding anesthesia and some restorative dentistry procedures for dental hygienists. Dentists supported these expanded functions as a way of handling increasing numbers of clients by using dental hygienists to take over selected duties, saving time for dentists. WA dental hygiene program graduates were receiving the highest scores on national board exams. WSDHA initiated the House of Delegates in 1973. The Washington Dental Disciplinary Board (DQAC)was created by the legislature in 1977. WSDHA established a central office and hired its first Executive Director, Nancy Southwick in 1978. During this year, Pierce College dental hygiene program was started. In 1979, WSDHA created a Government Relations Committee and in 1980 employed its first Legislative Advocate, Jeff Larsen, initiating phone trees and providing legislators with information folders about dental hygiene. In 1983, the legislation was passed creating a Dental Hygiene Examining Committee (DHEC) and the University of Washington graduated its last traditional dental hygiene class, but maintained the degree completion program. Legislation was passed in 1984 to allow certain services as unsupervised dental hygiene practice in health care facilities (hospitals, nursing homes, home health agencies, group homes serving the elderly, handicapped and juveniles, state institutions and federal, state and local public heath facilities. During 1985, the State Health Coordinating Committee held a Public Hearing and recommended the designation of Dental Hygienist Practitioner for dental hygienists with a BS degree. In 1986, the Uniform Disciplinary Act was reaffirmed as disciplinary authority for dental hygienists, removing discipline authority for dental hygiene from the Dentistry Disciplinary Board. The Lona Hulbush-Jacobs Memorial Scholarship was established in 1986 in memory of Lona Hulbush-Jacobs who set a standard for integrity, leadership and tolerance that was respected and admired by all who had the privilege and opportunity to know her. She was an instructor at Shoreline Community College Dental Hygiene Program. In 1969, Lona was elected 43rd president of the American Dental Hygiene Association. She was a liaison to the American Association of Dental Examiners and worked with the ADA National Board of Dental Hygiene. Lona Hulbush-Jacobs died January 1986 and WSDHA House of Delegates established the memorial scholarship in her name. WSDHA held its first long range planning meeting in 1987. 1988 saw a huge step forward as insurance allowed the assignment of benefits to dental hygienists. By 1990 the five dental hygiene educational programs were graduating over 100 students per year. Mandatory continuing education was established for re-licensure. The Martha Fales Award was established in 1990 an award was created to honor Dr. Martha Fales, former Director of Dental Hygiene and emeritus professor at the University of Washington, a staunch defender and activist with local and national public health issues and programs. This award honors hygienists for outstanding contributions to their profession. In 1994-95 there was a “Sunrise Review” of dental hygiene practice by the Department of Health. The results were that the Department of Health recommended unsupervised practice of dental hygiene in all settings. The State Board of Health also recommended unsupervised practice of dental hygiene in all settings. WSDHA continues to pursue removal of supervision as a major goal of the association. • Allow hygienists to screen clients for application of preventive treatments without supervision to the general public and in areas of the state which are deemed under-served by the Dept. of Health. • Allow licensed dental hygienists with a BS degree, upon successful completion of an oral health assessment course of study credentialed by the Higher Education Coordinating Board and upon certification be allowed to carry out assessments of teeth and oral tissue among the underserved and to administer and plan appropriate preventative and disease control interventions within the scope of their practice. • Dept of Health would approve practice protocols between a hygienist and dentist of record for referral on all indicated dental procedures. In May of 1996, a group of hygienists organized to explore the initiative process as a way to establish both self-regulation and unsupervised practice by a direct vote of the people of WA State. Hiring a political consultant for the Campaign SHOUT (Initiative-678), the initiative process was begun with a poll of state voters which was funded by WSDHA. The campaign was fully supported and endorsed by both WSDHA and ADHA. The petition drive required gathering over 179,000 valid signatures to qualify for the ballot, an enormous undertaking for the team! 179,248 signatures were validated, and I-678 appeared on the State ballot in the fall of 1997. The strong, simple message of the initiative was that people should vote for I-678 because it would offer more choices in dental hygiene care, at less cost, and still be safe as ever. I-678 raised and spent funds totaling $445,965. Most of these funds were used to qualify for the ballot. A modest amount was spent for media, mostly limited to radio ads and direct mail. Over 1200 donors from across the country contributed to the initiative. In contrast, the opposition raised and spent $684,888, using most of those funds for television ads and direct mail in the last two months of the campaign. It took two checks for dentists to reach the $400,000 fundraising mark, one from the ADA and one from the WSDA. I-678 was defeated at the polls 52.9% to 47.1%, a margin of 6%. Of the eight statewide measures in the 1997 general election, I-678 ran the leanest campaign and was the closest to winning. Only one issue drew more voters (with 19,599 additional ballots cast on handgun safety), and it lost by 41%. In spite of losing at the polls, the success of the initiative campaign came in the groundswell of support for dental consumer choices, more widespread understanding about the qualifications and safety of licensed dental hygienists, and the notion that dental hygienists were willing to fight the "system" to create more access and choices for the public. Lake Washington Technical College established its dental hygiene program in 1997. The Columbia Basin dental hygiene program began in 2000. In 2001, Eastern Washington University initiated degree completion programs by way of distance learning at Shoreline, Pierce and Clark. In 2001 the legislature passed the Sealant Bill (6020) which allows dental hygienists to provide sealants in local elementary schools. In 2002, WSDHA was successful in getting an Antimicrobial bill passed, which allows dental hygienists to legally place antimicrobials. 2005 Pierce College began a distance learning program on the Olympic Peninsula through use of interactive computer technology. Seattle Central Community College also opened a dental hygiene program aimed to address the need for diversity in providing access to oral health care in Washington State. 2006 approval was gained to start a new dental hygiene program at Bellingham Technical College, despite the employment situations in Whatcom County. April 2007: WSDHA successfully adds “prophylaxis” to the services a hygienist can provide in school sealant programs (6020) and to include “senior centers” to RCW 18.29 whereby hygienists can provide services, a collaboration agreement with a dentist is required. A two year sunset (2009) was added to this legislation by the Senate with reporting to DOH. WSDHA successfully applied to the Washington Dental Service Foundation for 6 $10,000 grants to be used to assist hygienists in setting up practices in senior centers throughout the state. The grant was approved with the proviso that the 2009 legislation to make the senior center pilot a permanent addition to RCW18.29 where hygienists can practice. April 2009: WSDHA sponsored successful legislation making permanent the pilot program that allowed hygienists to provide hygiene services in senior centers with continued reporting for an additional five years. Washington Dental Foundation Grant (was dependent upon success of legislation to make permanent) approved for six start-up assistance grants for members to start senior center Smiles for Life Program throughout WA. 2010-2011: WSDHA working with Eastern Washington University created a new model of Advanced Dental Hygiene Practitioner (ADHP). Based partially upon the successful model in Minnesota, a BS level hygienist could complete additional training at EWU and be allowed to practice in the community to expand access. 2013-14: With WSDA support, WSDHA successfully sponsored legislation that made it legal for dental hygienists to use “topical anesthetics” and to serve home bound patients of record in their home. WSDHA continued to work with the Children’s Alliance and Washington Dental Access Coalition to pursue legislation on the mid-level Dental Hygiene Practitioner model and for self-regulation through a Board of Dental Hygiene. Contributors to this history include: Martha Fales, PhD., Miss Agnes Falconer (1962), and Anita Rodriguez, RDH. BSDH, Doreen Naughton, RDH, BSDH, Colleen Gaylord, RDH and Melissa Johnson, Lobbyist.